“Top of the line entertainment”. Kind of a cringe-worthy phrase, isn’t it? Everyone claims to have it, but not everyone delivers. So, what makes us different? Well for starters, we are pretty choosey, all (yes, all!) of our performers are leading men and women directly from London’s prestigious West End. That means all our performers must have been cast in leading roles in West End shows, not just ensemble, in order to represent us. They know and work with the best in the business, and now they are eager to work with you, because after all, you (and your company) deserve the best. Going “incognito” as waiters, chefs, priests, partners or banqueting managers, our stars spend the evening disguised amongst your distinguished guests, and then, at the agreed cue, will conduct the “big reveal”, bursting into a pre-arranged song and/or dance set that will assuredly have your crowd going wild. How do we ensure that your event receives the “West End Treatment”? We here at Incognito Artists have devised a unique process that takes a little bit from everything. Our Creative Directors, both West End legends with experience in the corporate industry, will work directly with you, organising the repertoire of our performance and getting you in the know! They then assign our performers of the highest calibre to your event, delivering a high-class corporate entertainment spectacle straight to your venue! We’re not trying to show off, but, we do like to think that that our selection of actors and singing sensations make us exclusive and reassuringly luxurious, as they come from shows such as Wicked, The Phantom of the Opera, Cats, Sunset Boulevard, Les Mis, Jersey Boys, West Side Story, 42nd Street, Follies (and the list goes on and on). However, we know that understanding performance isn’t always enough, and that’s why our head office team all have extensive experience in the corporate world, meaning they can bring the best of both worlds to make your event stand apart! Another example that we’re “top of the line” stuff? 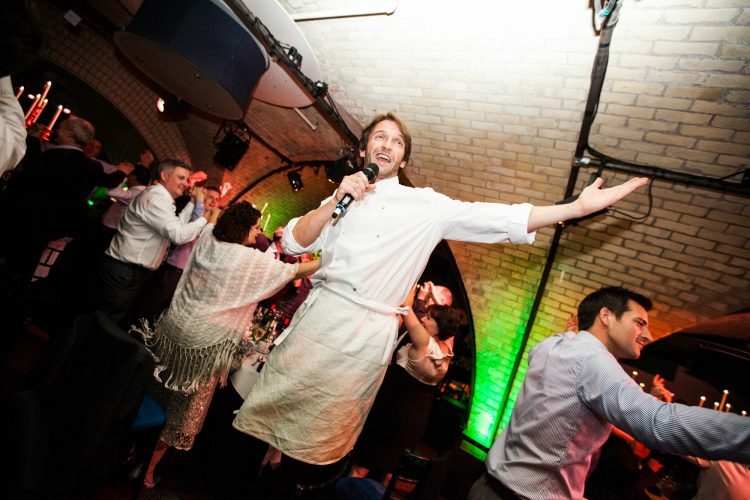 Having provided sizzling corporate entertainment for businesses such as Harrods, Boodles and Coutts, we consider ourselves to not only be seasoned pros, but also versatile. Our performers are always event-ready to be jacks-of-all-trades, taking on banquets, award ceremonies, VIP gatherings and corporate parties. (Check out the link below of our performance at the Honda Tennis Challenge at the Royal Albert Hall to see for yourself!) Call us now to discover more of the ways that we can contribute to your business in a way that is not only profitable, and fun, but unforgettable! Choose Incognito Artists Ltd, choose only West End-quality show-stopping extravaganzas, and choose to have your event hit all the high notes!